To spark discussion, the Walker invites Twin Cities artists and critics to write overnight reviews of our performances. The ongoing Re:View series shares a diverse array of independent voices and opinions; it doesn’t reflect the views or opinions of the Walker or its curators. Today, musician Todd Menton shares his perspective on Friday night’s performance by The Gloaming. Agree or disagree? Feel free to share your thoughts in comments! Friday evening’s concert by The Gloaming was a fantastic, immersive show, providing a unique and unprecedented experience with traditional Irish music. 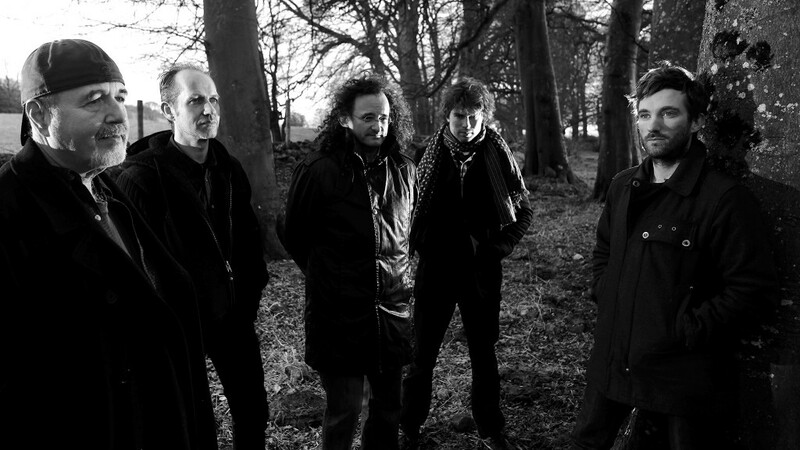 The Gloaming is a collaborative group founded by legendary Clare fiddler Martin Hayes, which also features Dennis Cahill on guitar, Caoimhín Ó Raghallaigh on viola d’amore, Thomas Bartlett on piano, and sean-nós singer Iarla Ó Lionáird singing in Gaelic and English. They have a dynamic, multi-level approach to the dance tunes and songs of Ireland; utterly new in the way the old music is assembled and presented, but always returning to the core sound of the tradition. In concert at The Walker their intuitive musical exploration was on vivid display. Beginning with “The Pilgrim”, a song ravishingly sung by Ó Lionáird, the group employed the framework that they used all night: space, silence, the layering and trading of rhythmic gestures, and liquid, relentless build. Cahill’s bell-clear harmonics set a stately pace, and Bartlett’s jazz/classical minimalism on the piano created a bed of rippling, never-resolving chords, deliciously atypical in regards to Irish keyboard accompaniment. As the song closed, Ó Raghallaigh began a plaintive jig on his throaty instrument while Hayes played a drone on the fiddle: the tune in a dark, rasping, rattling tone, the drone a laser bright note. This was the first of many inversions of the lead/backing roles. Cahill’s guitar work was so spare as to be ghostly, but always grounded the rhythm, holding a percussionist’s place in the music. Bartlett’s sweet, restless playing urged the ensemble to a crescendo, and then… Martin Hayes, rocking, swaying, all but leaping out of his chair, unleashed a fiery reel, and the fiddle master led the group to a blasting, last-round-at-the-world’s-greatest-pub climax. Most of their sets (medleys? ceili-chord-poems?) followed the same template: a gorgeous song opens the door to marvelously inventive rhythmic/tonal explorations centered upon the finest traditional Irish fiddling on the planet. Throughout the evening, the ensemble’s individual personalities came to the fore and receded as the music unfolded. Impish Ó Rahallaigh’s viola d’amore (equipped with a hardanger fiddle’s sympathetic resonating strings) groaned, whistled, hissed, and sang. Together with Bartlett’s controlled mania at the piano (Glenn Gould made it to the session, lads) they lent a Charles Ives atmosphere to Ó Lionáird’s song “The Lark In the Clear Air”. Frequently, when Hayes entered the musical room created by his fellows, he would bring in only sketches and edits of a tune, staying in the background until the tune formed in full, letting the chords and rhythms swirl and coalesce before breaking into the exuberant lead with “The Old Favorite”, “Sheehan’s”, or “The Sailor’s Bonnet”, a classic jig or reel bringing the many-colored hooley to an end. The Gloaming have done something wonderful: they’ve found a new form for the famous and venerable tradition of Irish music, a new lens through which to view the gems (“My Darling Asleep”, “Toss the Feathers”) of Ireland’s musical heritage. By all means seek out their recording and, if you can, hear them live. Theirs is an alchemy that makes you want to dance. The Gloaming performed on Friday, October 9, 2015 in the Walker Art Center’s McGuire Theater, in a concert copresented by The Cedar.